With the American League loaded with teams contending for the playoffs, there are a ton of young players getting big-time experience while battling for positioning in the standings. Even after establishing themselves in the big leagues, players can still end up being sent back down to the minors. But we have the lineup made from the best under-25 players in the American League. New York Yankees catching prospect Gary Sanchez has been in the big leagues less than a month, but he’s already making his mark. The 23-year-old is hitting 25-for-65 so far in his young career with eight home runs — good for a 1.259 OPS. He’s not going to be able to keep up those kinds of numbers, but Sanchez is a really good young catcher. Without a ton of other great young catchers in the American League, look for Sanchez to be an All-Star for years to come. Another big time Yankees prospect, Tyler Austin leads the disappointing crop of American League first basemen under the age of 25. He hasn’t done a ton yet in the big leagues, but he’s the player with the brightest future. He’s just 3-for-23 so far in his career with the Yankees, but the 24-year-old posted a .916 OPS between Double-A and Triple-A this year in 107 games, hitting 17 home runs. 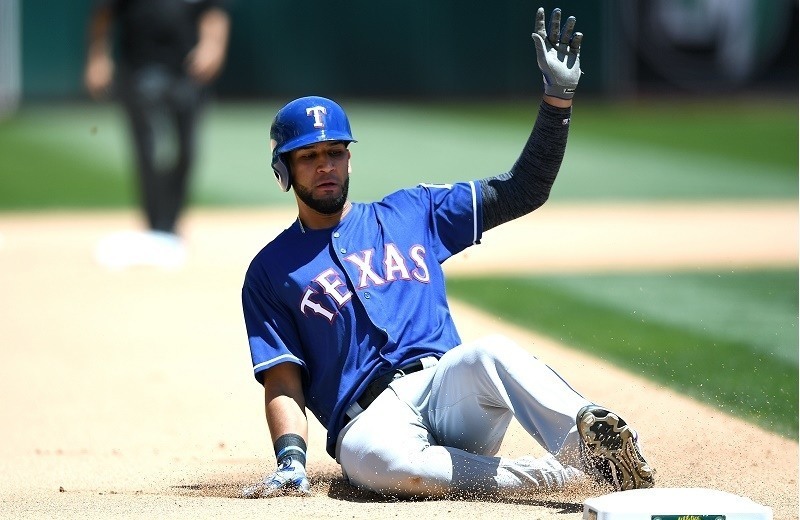 Texas Rangers second baseman Rougned Odor came up to the big leagues when he was just 20 years old. He’s loaded with talent, but Odor doesn’t come without his quirks. He’s not the greatest defensive second baseman, which he can get away with because of his offensive skills. But he also doesn’t walk much, posting a career walk rate of just 3.8%. His slash line in three seasons with the Rangers doesn’t appear that impressive on the surface — just .265/.303/.456 — but he’s been getting better with the power at least — he’s hit a career-high 23 home runs so far this season. This is the position where the American League had the most competition, but Carlos Correa of the Houston Astros is our pick. He came up last season in the middle of a pennant chase to help the Astros win a wild card spot, hitting 22 homers and posting a 4.1 WAR in just 99 games in the big leagues. He’s flashed his immense talent again in 2016, with a 5.0 WAR to go along with 18 homers and a .270/.362/.464 slash line. At just 21 years old, Correa is one of the most promising young players in the entire game. There is no question that the top third baseman in the American League — possibly the entire game — is the Baltimore Orioles’ Manny Machado. Baltimore brought Machado to the big leagues back in 2012, when he was just a 19-year-old. Since then, the now-23-year-old has made three All-Star teams, slugged 96 home runs, and posted 23.2 WAR, including 7.1 last season and 5.5 so far this year. Machado experienced his breakout season with the bat, hitting .302/.357/.553 on the year. 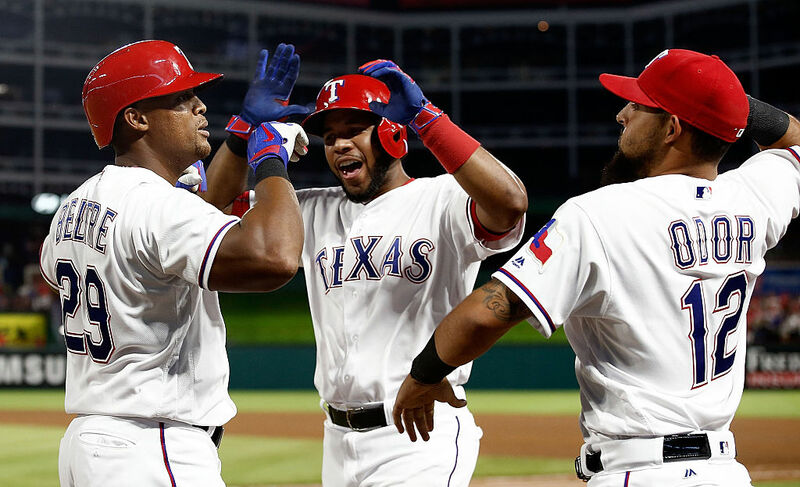 Texas Rangers outfielder Nomar Mazara made the list in what might have been the most hotly contested spot. Mazara is a 21-year-old with a .280/.333/.422 slash line and 14 home runs in the big leagues since his call up in early April. A big reason why he’s on the list ahead of other outfielders that have had better seasons has to do with his prospect status; Mazara was ranked the No. 5 overall prospect in all of baseball prior to the season by Baseball Prospectus. Much like Bryce Harper with the National League team, it’s hard to believe we can still include Los Angeles Angels outfielder Mike Trout on the ‘all under-25’ team. The perennial MVP-candidate is having one of his best seasons, posting a career-high .426 OBP—best in the big leagues—to go along with 23 home runs and 20 stolen bases so far this year. Trout has a Rookie of the Year award and an American League MVP under his belt, and this season there’s a decent chance he garners another MVP. Trout has 7.8 WAR so far this year with the Angels and at just 25 has already accumulated 45.8. Red Sox outfielder Mookie Betts has been one of the best breakout stories of the season. Along with Trout, Betts is certainly in the conversation for the American League MVP award. He’s hit 28 home runs with 20 stolen bases and a .313/.354/.557 slash line this year, making his very first All-Star team at the age of 23. He’s been a huge part of Boston’s revival and run toward the postseason, posting a career-high 6.9 WAR to date — following up a 6.0 WAR season last year. As far as special players go, there are few better than Betts. The starting pitcher for this hypothetical game between only players under the age of 25 has to be the Toronto Blue Jays’ Aaron Sanchez. There was some concern coming into 2016 that Sanchez would not be able to figure out his control issues, leaving him to likely end up in the bullpen. But he got a shot to start at the beginning of the year and he stuck there, with a 2.99 ERA and just 2.6 BB/9 so far in 24 starts this season. He, along with fellow young kid Marcus Stroman, provide a lot of hope for the Blue Jays this season and beyond.